Here is the latest information on the plans for the day of BikeLights. Please check our Facebook page for last minute updates. 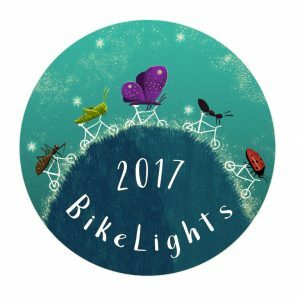 From 11 am at Pop Cafe Gallery – BikeLights Minibeasts Fun Palace. A drop-in bike decorating workshop where we will be celebrating the Minibeast. Bring your bikes, pushchairs, mobility scooters and walkers and get help and inspiration to decorate them to this year’s theme. There will be artists to help with ideas and some basic materials, and strings of lights to buy for £3.50. Pop Cafe Gallery, Unit 5, Trevanson Street, Wadebridge, PL27 7AW (opposite Lidl). 6.15 pm decorated bikes start to assemble for procession in Lidl car park. Entry by donation, please pay what you can, we suggest a minimum of £1 per bike. 6.45 pm procession sets off on guided route through town-takes about 1 hour. There will be a rolling road closure as the procession moves through town. Approx 7.45 pm procession returns. Pop Cafe, Tiny Thai, Wild Bake are all open as the procession returns. Best to pre order any food earlier in the day! Wow what an amazing BikeLights event! Thank you so much to everyone involved for pulling out all the stops and even conquering the weather! !